Don't miss crucial news! Research quickly & comprehensively with MarketBrowser AE. Instantly pivot to relevant content from thousands of online financial research, news, commentary & information sources. Get the experts at your fingertips—less than $29.95 per month. 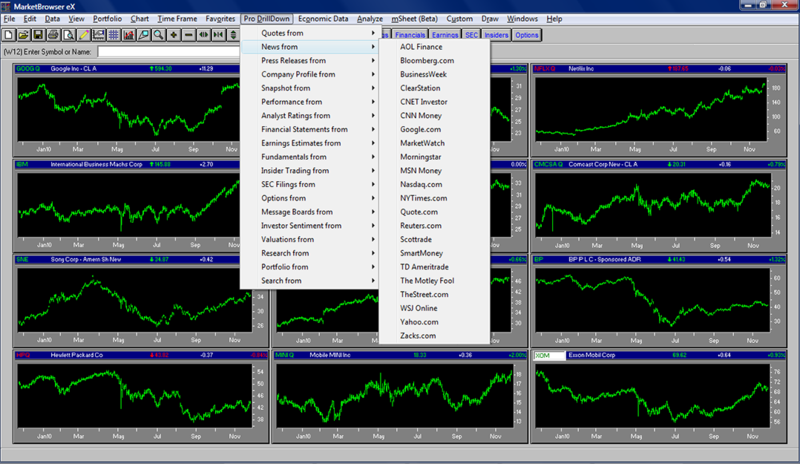 New MarketBrowser AE serves as your portal to virtually every facet of financial research. Generate results with better informed decisions and save time by leveraging the easy, proven investment research pivot tools featured in MarketBrowser. It's guaranteed to make understanding your alternatives faster, more comprehensive, and easier than ever before.